We live in an on-demand, digital age. An age where communication is sophisticated and your customer is addicted to using his or her camera phone. Videos and photos are storming the web at lighting speed, 24 hours per day, 365 days of the year with one shared purpose: mass-communication. As an online marketer, it is important to take notice of this culture shift and to embrace it. Over the last year, the amount of images uploaded by the average user eclipsed over 10 percent of all photographic images taken since the inception of the camera. Make no mistake, we are an image-centric society. And where did all of these images go? They were nearly all shared across one social media platform or another, and were (in many cases) cross promoted on several. Instagram, Tumblr, Facebook, Twitter and Pinterest have reported that images posted to these sites are beating text in terms of performance and views. Add to that the amount of images that can be linked back to content or even used interactively, and you have a firestorm of marketing bliss at your fingertips. Still want more? 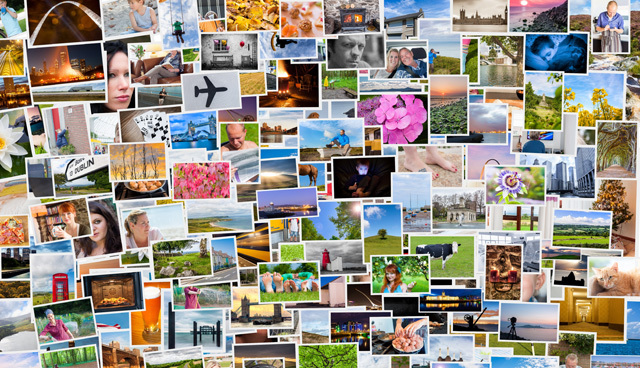 Here are five reasons you can’t ignore using images in your digital landscape. Images increase exposure: Content submitted with images or video attached to it achieve over 94 percent more page views than written content alone. Video is quickly becoming king: In this digital marketing age, content that contains both video and images attracts an audience that is 50 percent larger compared to content showcasing only static images. Better lead capture: Over 60 percent of people searching for local businesses or referral recommendations reported that they are more likely to make contact with a business or service professional if there is an image displayed in the search results, and even higher numbers when there is video. Images depict quality: Over 67 percent of online consumers say that image quality is directly linked (in their mind) to the quality of the product, playing an integral part in their purchasing decision. Even when it comes to shopping in online stores, consumers say that the image plays a far larger part than the product descriptions themselves. Better social media engagement: If you want to be an expert fisherman, you have to go where the fish are. In today’s world, the fish are in the large pond of social media. Social media engagement increases up to two fold when using images and video, compared to stand alone text or status updates. Photos and video tend to capture our attention and leave a lasting impression. Think about what you were most drawn to the last time you scrolled through a news feed. Even in this highly digital age, where information is being shared at lightening speeds, it would appear as if a picture is still worth 1,000 words, and in a marketer’s case, well over $1,000 in closed revenue, if used correctly. Previous Post Web Promotion: Why Are Facebook Likes Important?